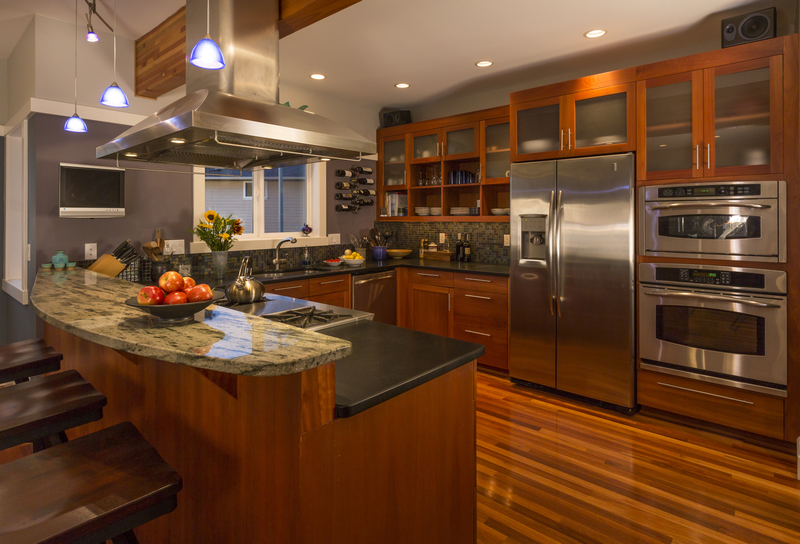 When you put your home up for sale, there are some great ways you can help make your kitchen an excellent seller for your house. Here are some tips and tricks for sprucing up your kitchen and making it a second salesman for your house. When you have lived for a while in your current home, you have probably accumulated a lot of things that show your personality. Things like plants, magnets, and other things that mean a lot to you. However, when selling your home, you have to remember that prospective buyers won’t always agree with your same style. It is essential for the kitchen area to be clean and bright so a buyer can imagine their style in your kitchen. If there is too much personal style in your kitchen, a buyer may see too much work going into getting their way and may be turned off. As a current homeowner, you may have neglected a lot of areas in the kitchen that need some TLC. While you may not have used the oven a lot, get in there and give it a rigorous scrubbing and it can make a huge impression. Sweep and mop the floors to provide a brighter shine on the floors. Clean out cabinets that may have been neglected for a while. Most importantly, cleaning out the refrigerator can provide a buyer some fresh perspective on the house. If there are any lights out, get them changed. When looking at the refrigerator, check out the fridge for any leaks, and get the ice machine fixed or filters changed. Check below the sink for any leaks or plumbing issues. Find out if any doors or windows need repair or fixing. The warmth that any buyer will feel toward the house will be in the lighting. Not only is it bright, but is warm and inviting. A family will see themselves being in a well-lit kitchen as opposed to dark, dreary place. Putting lots of light will create a better atmosphere in your kitchen and make it a more attractive area with guests. Kitchens are used for baking and sometimes scents can hang around. If the smell is enticing, people will be more likely to go to that place. Don’t overpower with fragrances. Subtle aromas are the best. A great tip is to cook something with a great aroma before inviting people to look at your home.